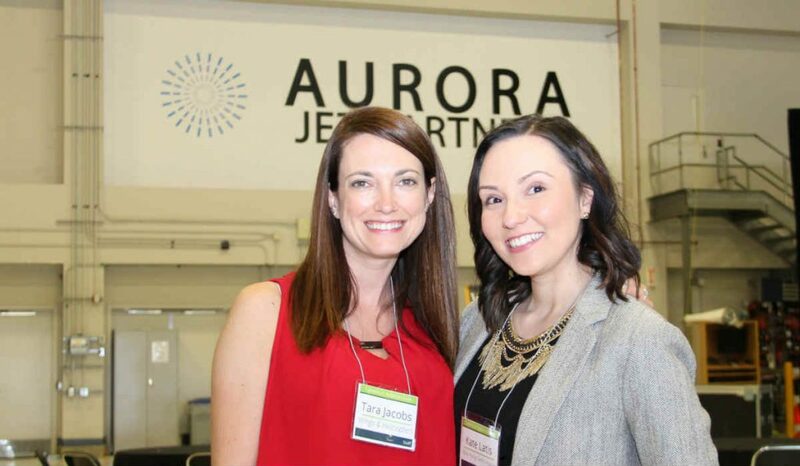 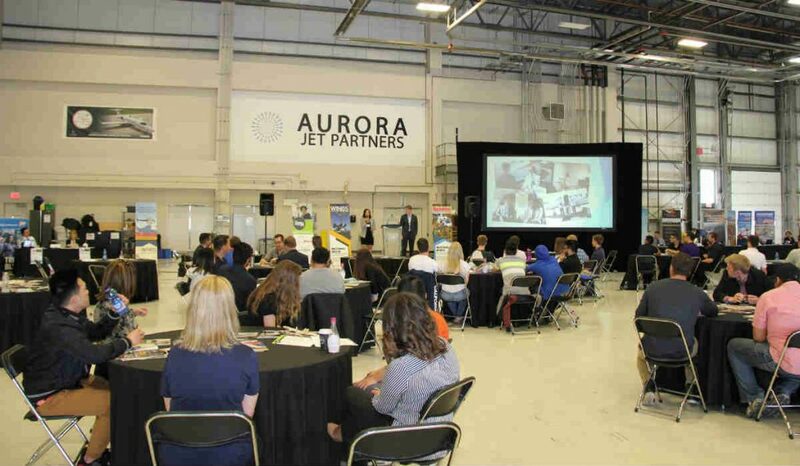 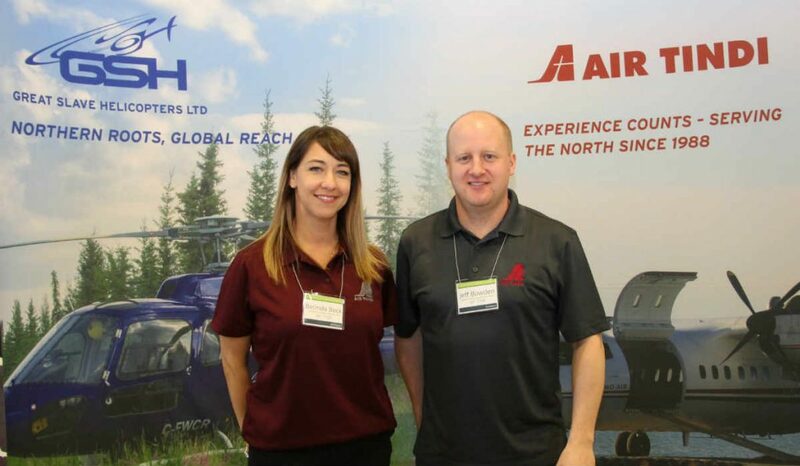 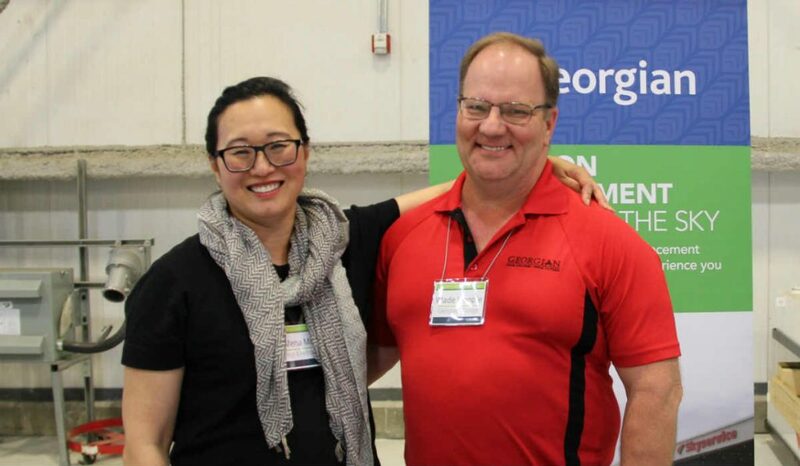 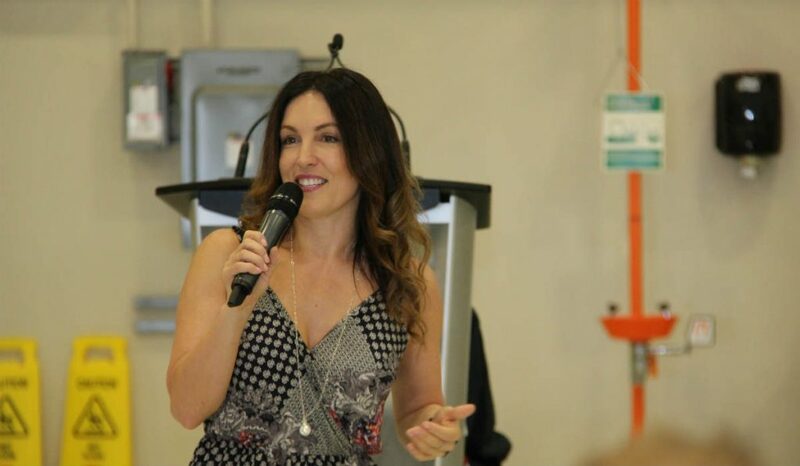 More than 75 students from across Western Canada and 120 people in total turned out for an inspiring Careers in Aviation Expo in Edmonton, Alberta, held within the recently built – 2012 – hangar and facility of Aurora Jet Partners. 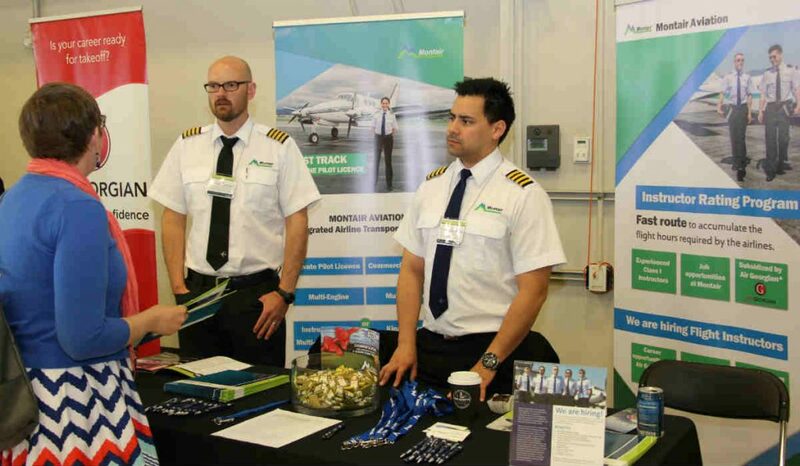 Following a record-breaking Careers in Aviation (CIA) Expo held three weeks earlier in Toronto, this was the first time the daylong conference took place in Edmonton, thanks in large part to the support and location provided Morningstar Group, which includes Aurora Jet as well as Morningstar Air Express and Signature Flight Support. 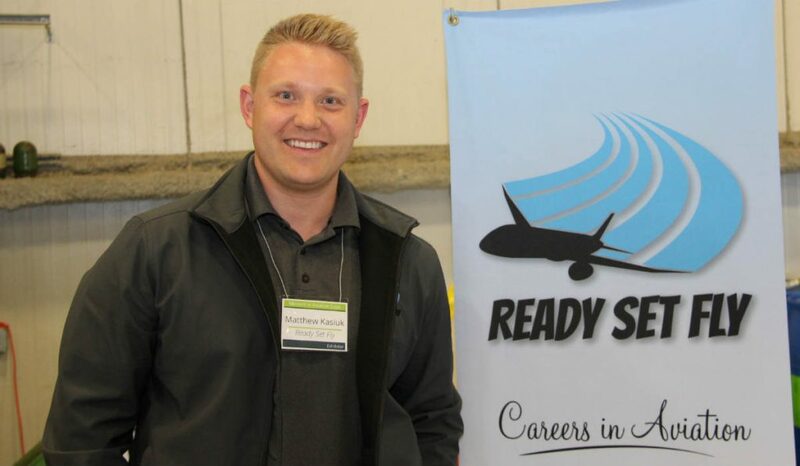 WestJet pilot Travi Burrows spends some time with aspiring aviation students. 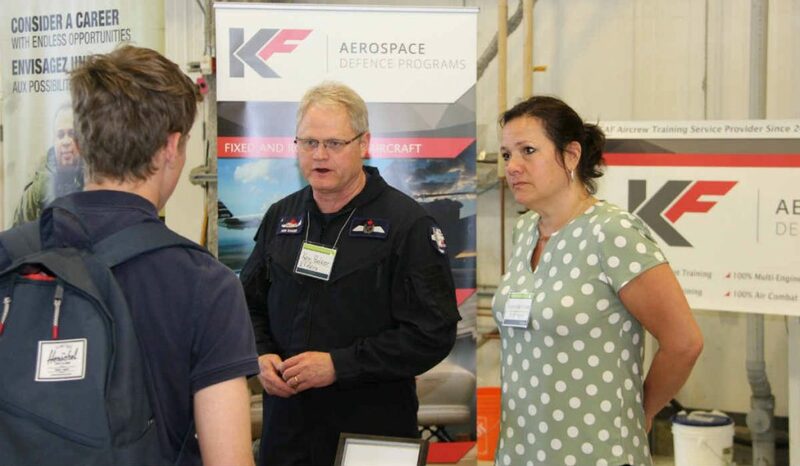 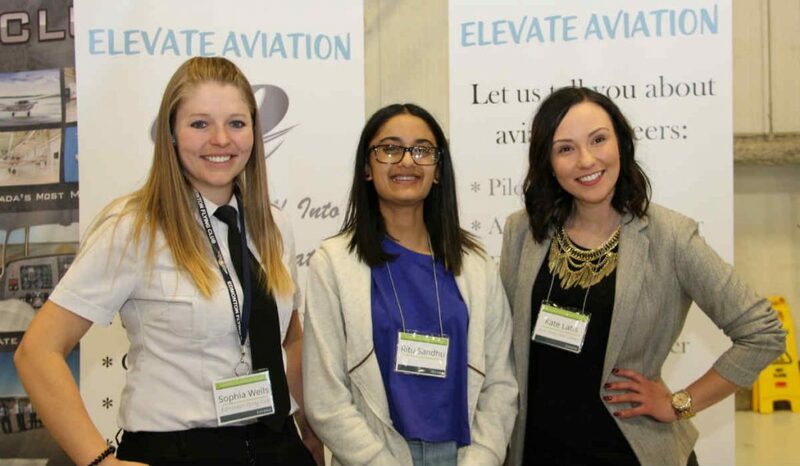 In addition to eight speaking sessions covering a range of real-world insight for aspiring aviation professionals, CIA Edmonton included more than 25 exhibitors who spent the day discussing opportunities in the industry. 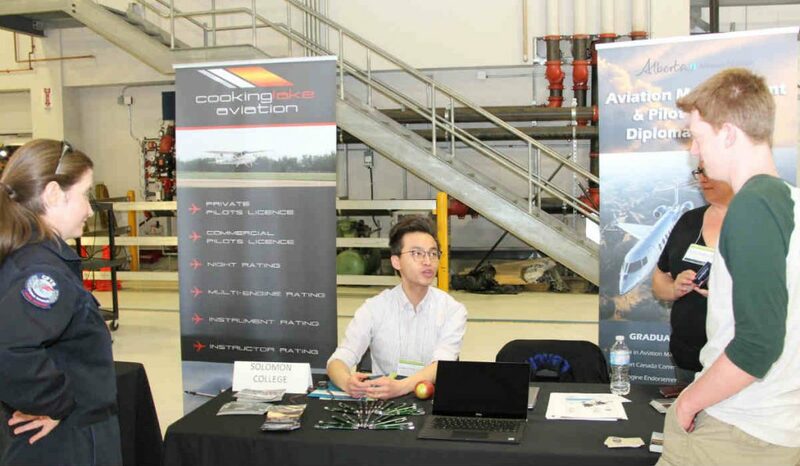 In addition to Morningstar, the day was sponsored by Jazz Aviation, Levaero Aviation, Air Georgian, Flying Colours, Northern Lights College, Million Air, Hamilton Watch and Centennial College. 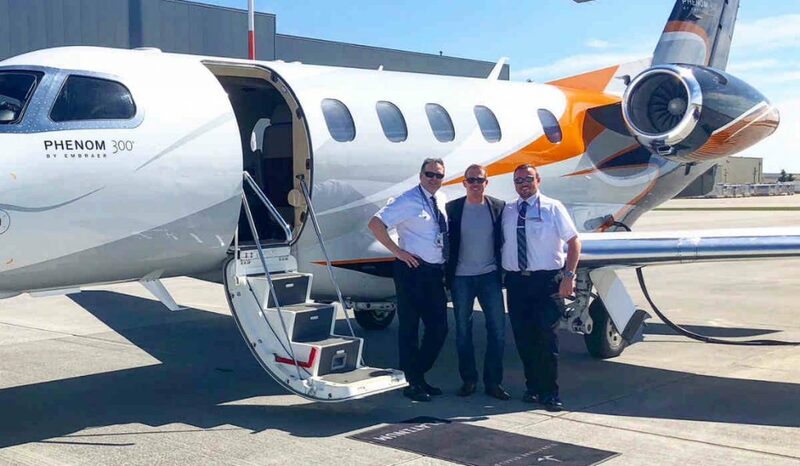 (Story continues below the gallery). 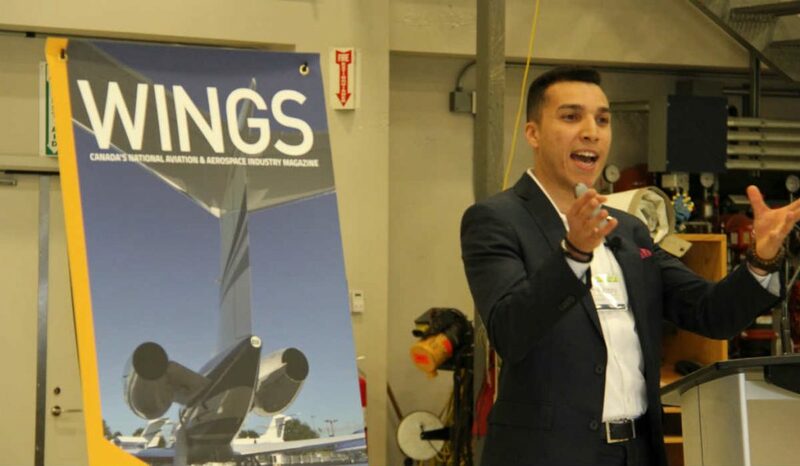 Hinting at the uniqueness of running the event within a live hanger, a highlight of the day took place shortly after 11:00 am when four Boeing CH-47 Chinook helicopters briefly landed in formation on the ramp in front of Aurora Jet, as most of the students lined up inside the hangar to watch the maneuvers. 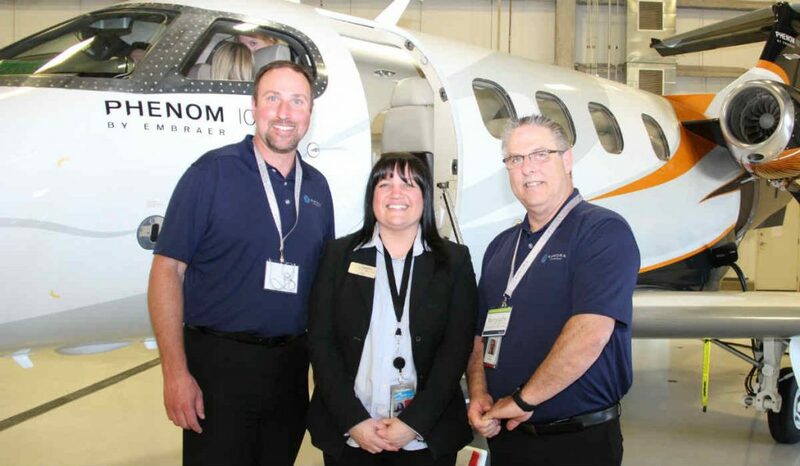 Aurora Jet also brought its Embraer Phenom 100 inside the hangar for the attendees to tour. 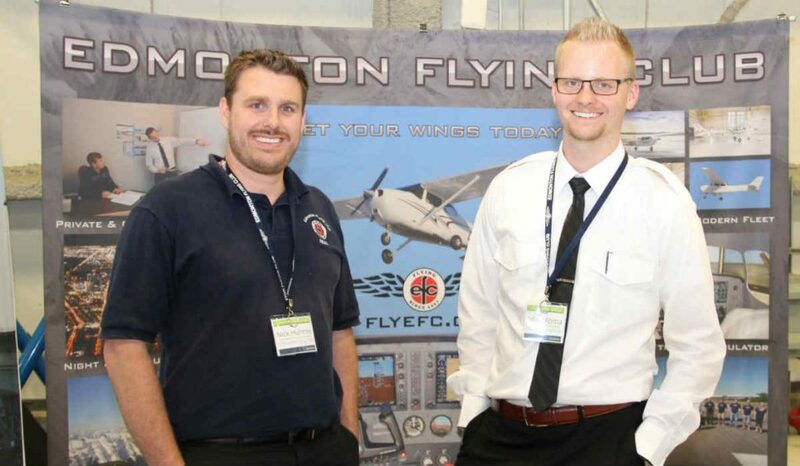 The ramp also included RCAF’s Raytheon C90A King Air, flown in by KF Aerospace, and a personal propeller aircraft owned by Travis Burrows who flew to CIA Edmonton to discuss his life as a pilot with WestJet Encore. 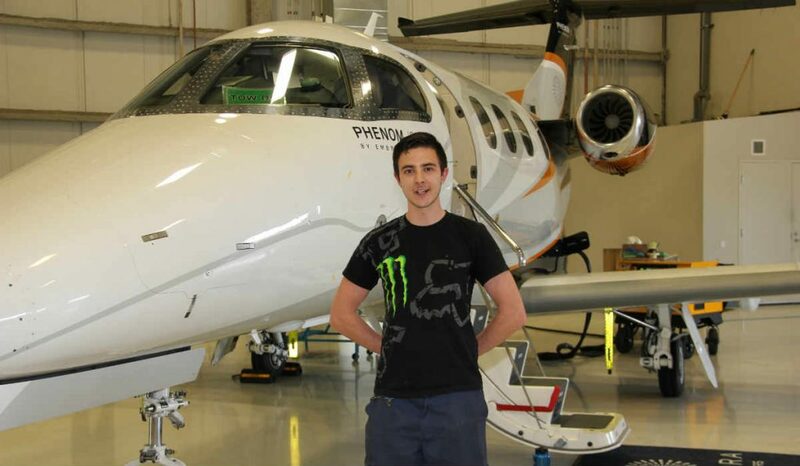 After graduating from Mount Royal College and obtaining his pilot’s license, Burrows joined C.B.R. 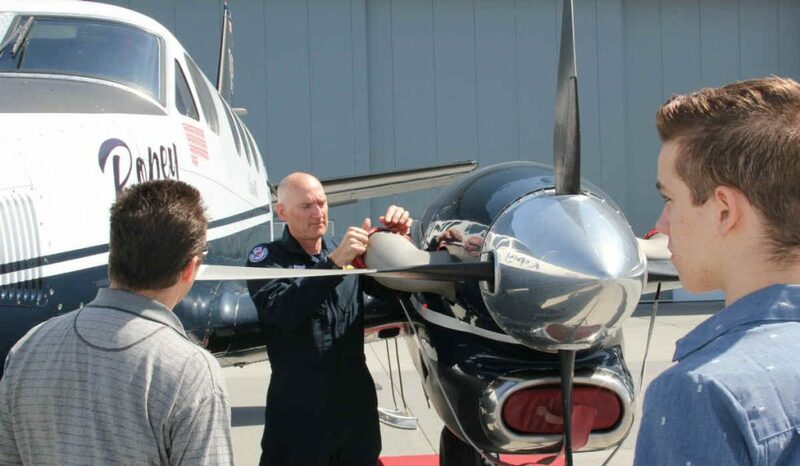 Technologies and began flying Cessna aircraft. 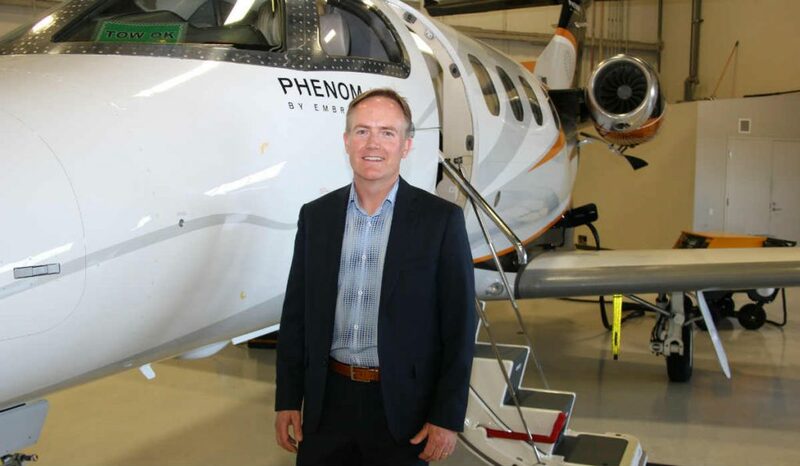 He eventually joined Aurora Jet Partners in 2012 where he served as an Embraer Phenom 300 captain and flight operations quality manager for almost three years. 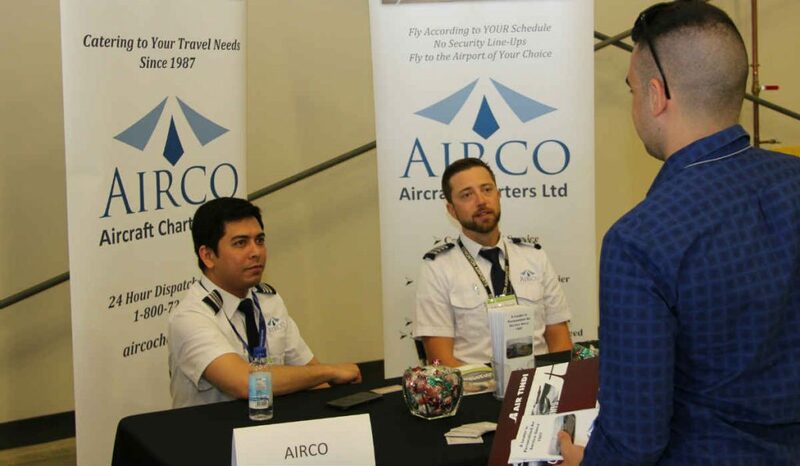 In 2014, he then joined WestJet where he would take on a role as a Q400 training captain and ultimately begin piloting the company’s 737 aircraft. 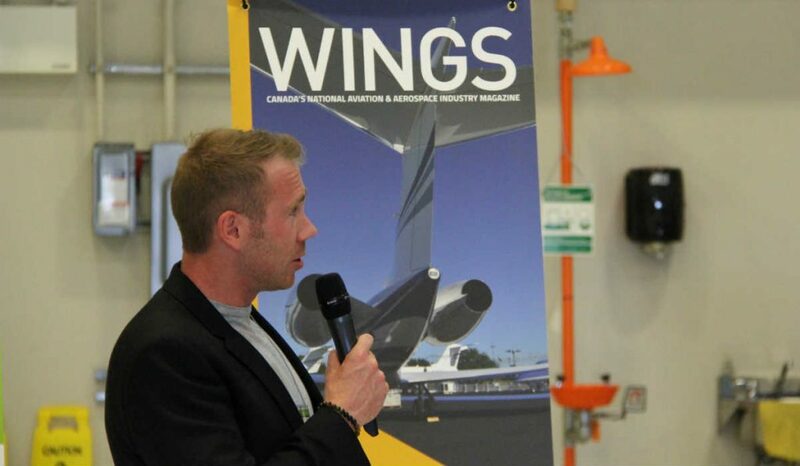 After his presentation, Burrows spent more than an hour talking with eager students about aviation. 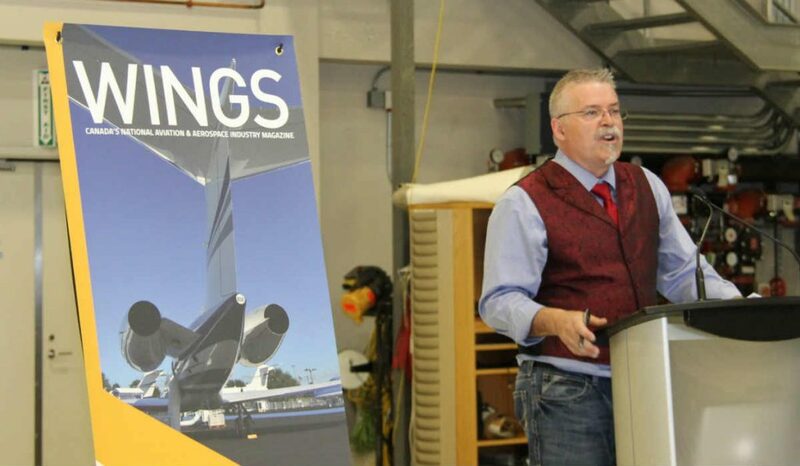 The morning of CIA Edmonton began with a presentation from Bill McGoey, president of Morningstar Group, who shared a range of insights on the state of Canadian aviation. 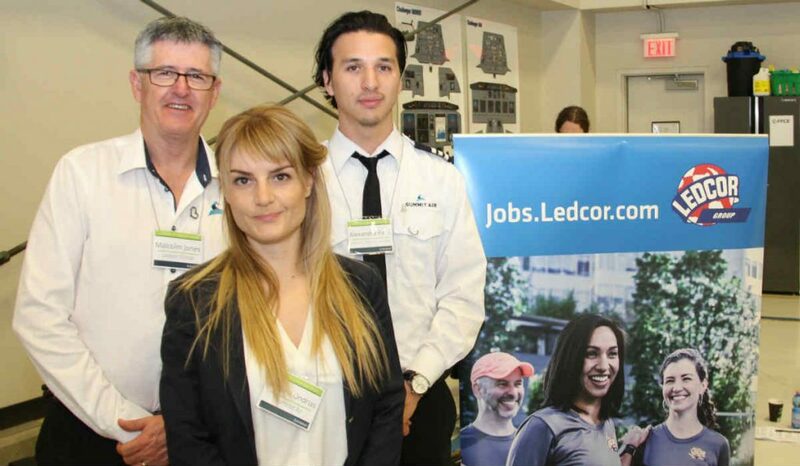 After discussing the opportunities available to graduates, McGoey highlighted the challenges of a growing industry amid ever-increasing labour shortages. 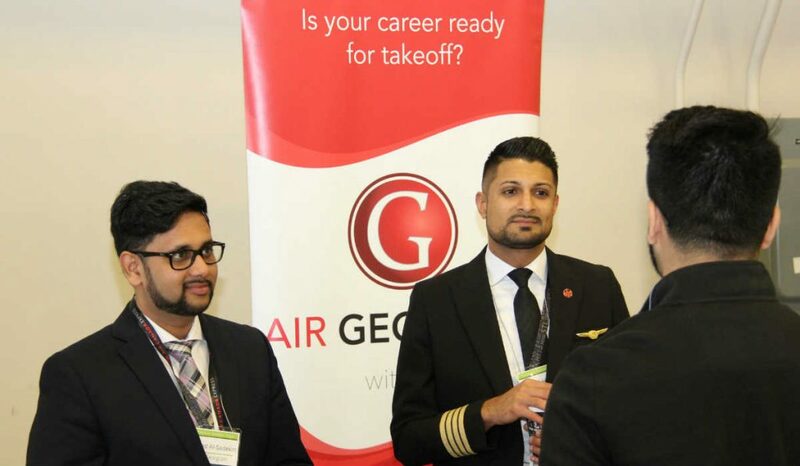 He provided statistics showing that the Canadian aviation and aerospace industries today employ 154,000 people, but that there will be a need for 55,000 additional skilled workers over next seven years (by 2025) because of industry expansion and workforce retirements. 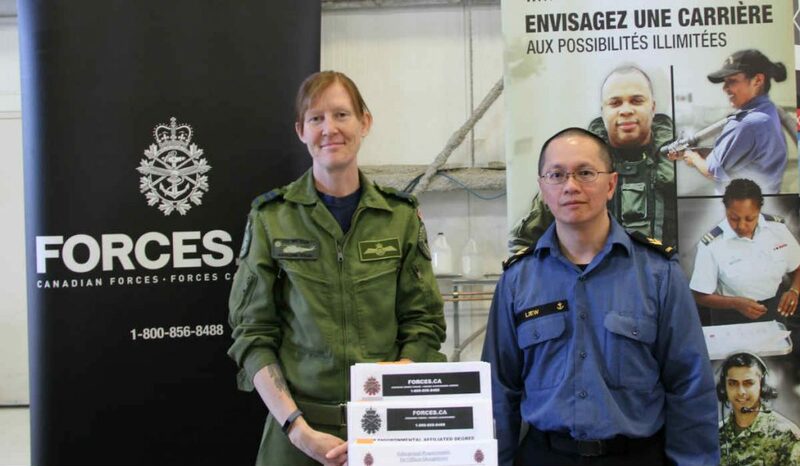 McGoey explained, given the current pace of training, only 14,000 of the 55,000 workers needed will be filled by existing Canadian graduates. 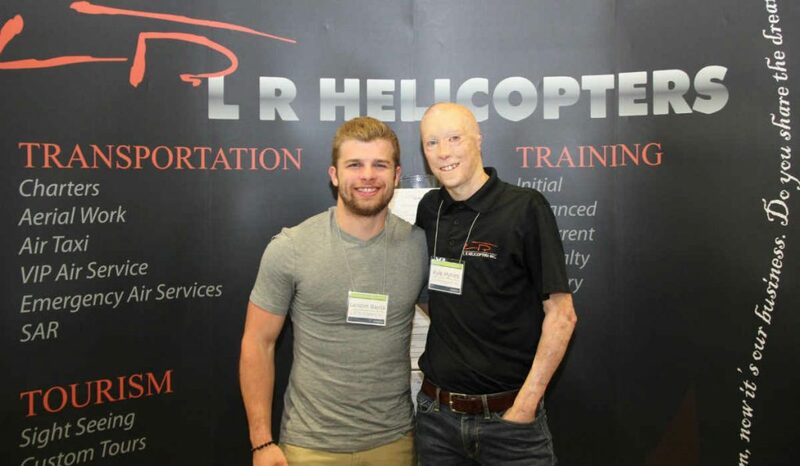 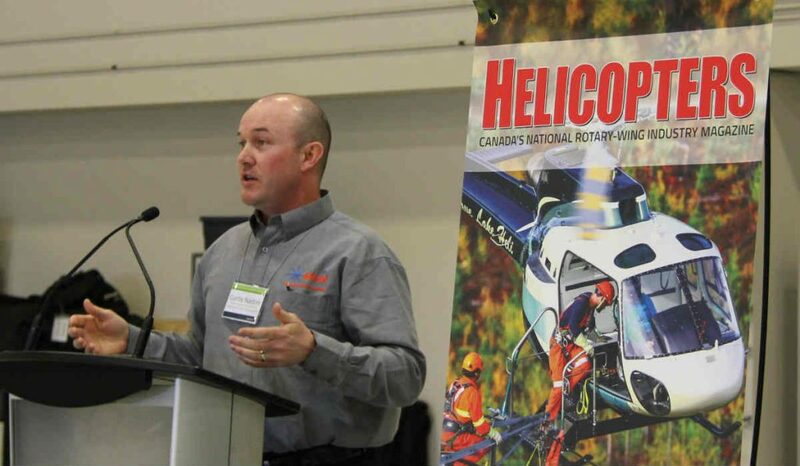 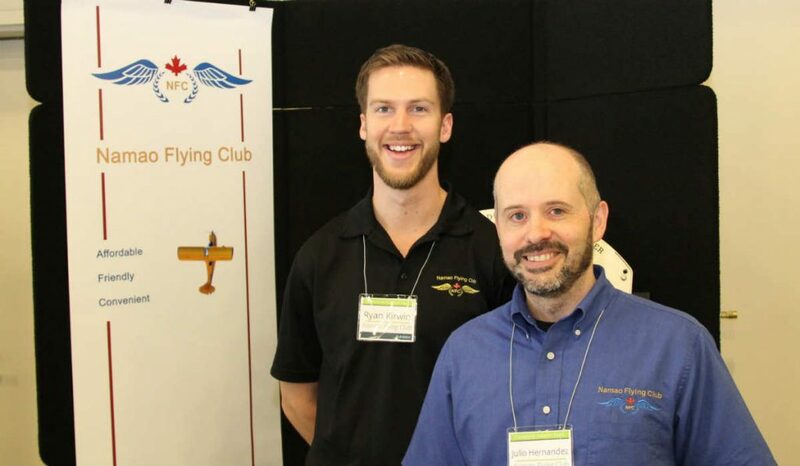 Curtis Nadon, chief flight instructor at Mountain View Helicopters, then described the opportunities and challenges of developing a career in rotorcraft. 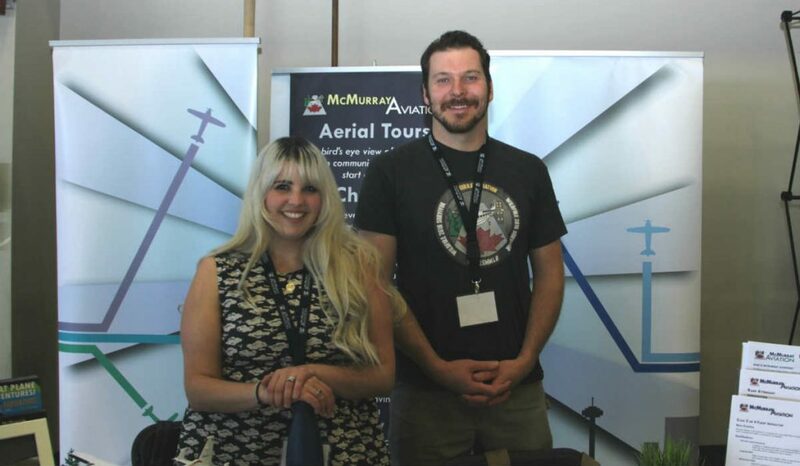 The morning speakers also included Amr Yosry, program supervisor with Rockwell Collins and a ground school instructor, and Kendra Kincade, founder of Elevate Aviation and an air traffic controller with NAV Canada. 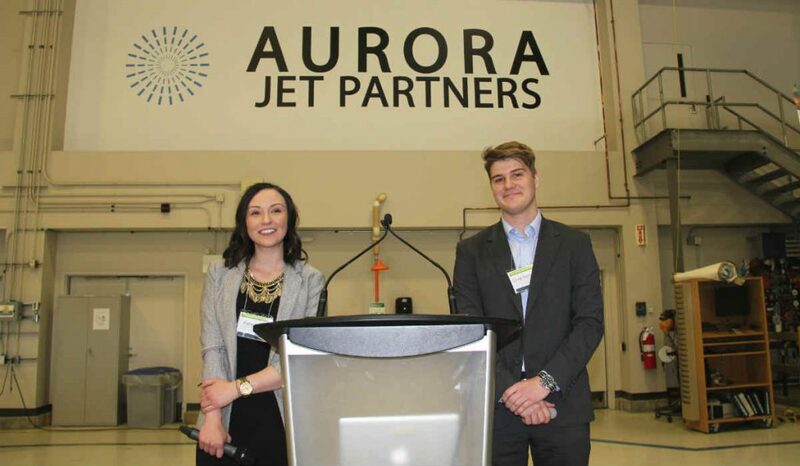 Kate Latis and Gray Norman then unveiled a new program called BizAv Young Talent Initiative, which aims to support career development specifically within the world of business aviation. 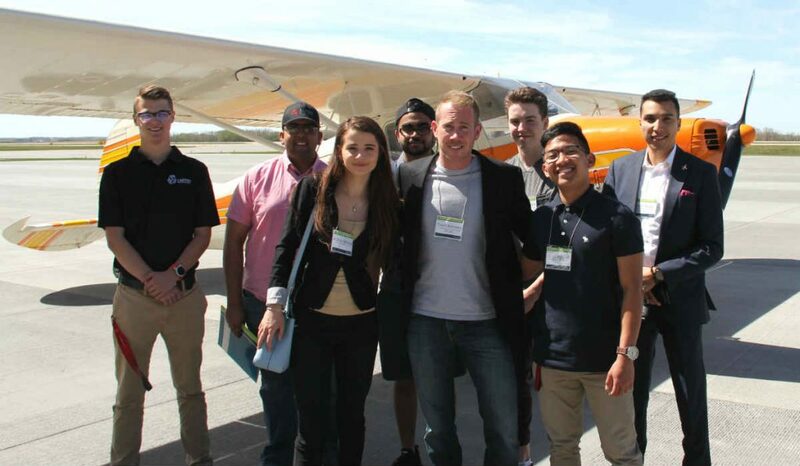 The BizAv YTI program will be officially launched on June 12 in Waterloo, Ontario, at the annual CBAA convention. 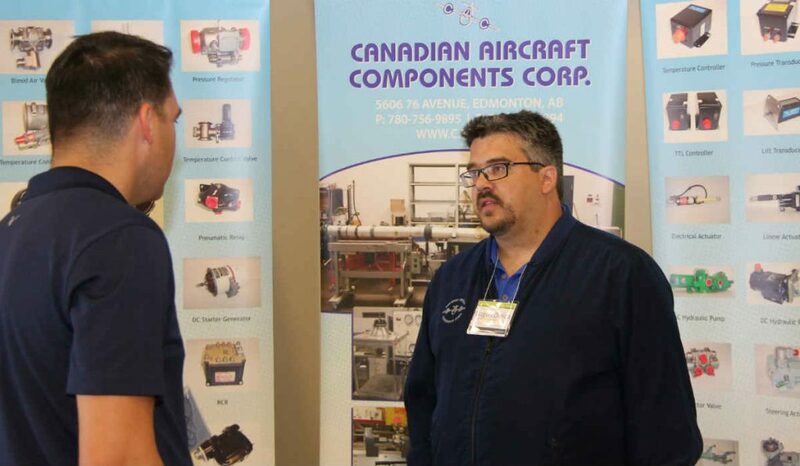 The afternoon of CIA Edmonton began with an engaging presentation from Chuck Teschke, Director Airworthiness for Aurora Jet, who discussed his 35-year career as an aviation mechanic and technician, before Burrows’ pilot presentation. 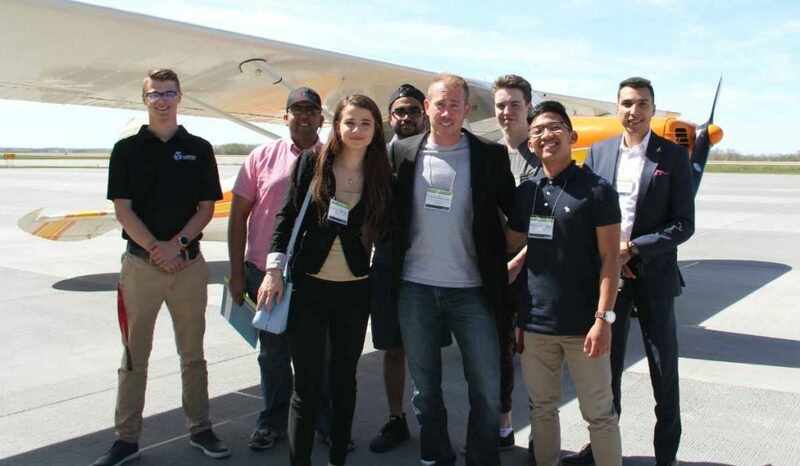 After the speaker sessions, students continued to tour the hangar and speak with exhibitors as Wings and Helicopters drew the day’s door prize for two tickets to the 45th annual Canadian Aviation Hall of Fame (CAHF) gala dinner and induction ceremony. 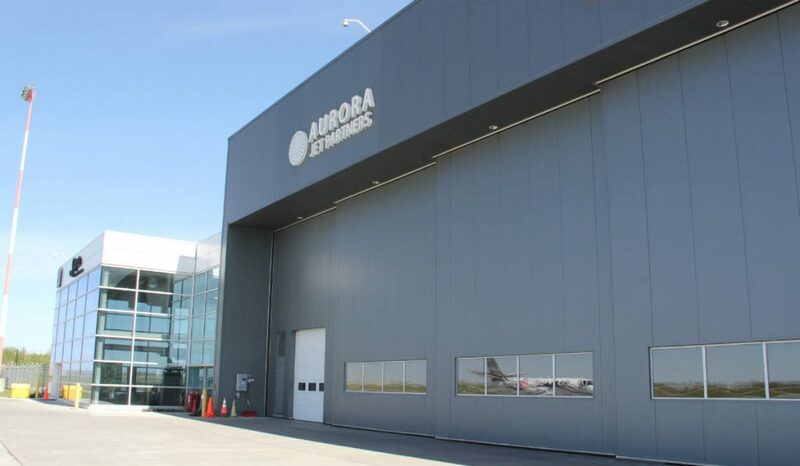 Taking place on June 7, 2018, at the Sunwest Aviation Hangar at the Calgary International Airport, new members to be inducted are John Bogie, General Paul Manson, Dr. John Maris, and Dr. Dwight Gregory Powell. 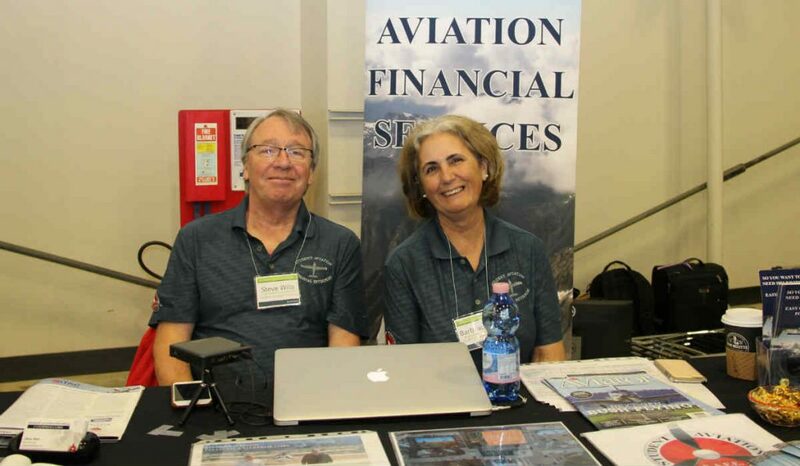 The CAHF gala tickets were won by Wade Hoople of Georgion College.